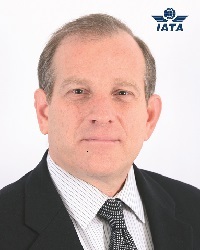 Rafael Schvartzman, European regional vice-president, International Air Transport Association. Next month marks a remarkable turning-point in British history. The government will trigger Article 50 and begin the process of leaving the European Union. The impacts this will have on the British economy have been hotly debated. On one matter, however, there has been little disagreement: whatever type of Brexit is pursued, air passenger demand in the UK is still set to increase significantly, by a minimum of 90m, over the next 20 years. In order to meet this expected demand, and fulfil its expressed desire to trade more openly and widely with the world following Brexit, the UK urgently needs new airport and airspace capacity. Now, following the recommendations of the Davies Commission, the government has proposed to build a third runway at Heathrow [R3]. The end to the political uncertainty is welcome. But it must be stressed the economic advantages of an expanded Heathrow will be swiftly eroded if the projected costs of the project – some £17bn – stay as they are. As IATA’s director-general put it in December, the UK could have built and run the 2012 Olympics twice over for that sort of money. In short, airline support for HAL’s [Heathrow Airport Ltd] proposals is conditional on the agreement of a guaranteed affordable plan. “Affordable” in this sense means it must be delivered with no increase to today’s charges. HAL’s charges at Heathrow are already the highest in the world. According to CAA figures, Heathrow charges are more than double those of Gatwick, 25% more than Frankfurt, 34% more than Paris CDG and 40% more than Amsterdam. So for Heathrow, it is vital that today’s charge is a ceiling. We are not interested in the concept of “average flat” charges over a period of time. Therefore, the comments by the secretary of state for transport that the R3 scheme must be affordable and deliver “a plan for expansion that keeps landing charges close to current levels”. IATA also strongly welcomes the correspondence from Andrew Haines, CEO CAA, to John Holland-Kaye on 25 October regarding the economic regulation of airport capacity expansion. In his letter, Haines emphasised the importance of HAL engaging with airlines to drive value for money and cost efficiency. And it referred to a deeper level of engagement covering the scheme’s scope, including reflecting the government’s goal that charges should remain “flat in real terms”. It is important to recognise the campaign efforts of HAL to secure government approval for the third runway. Winning the political arguments was a big achievement that has the potential to create many benefits for the UK. As HAL enters the more detailed planning phase, there are several points which will be a key focus for airlines in the next 12 months. First, the urgent need to “open the books” and get beneath the figures, as HAL committed to do in a letter to IATA in September. Second, designing value for money and cost efficiency into the project, with meaningful airline engagement in the governance of the project. Third, engagement with local communities needs to be balanced, proportionate and transparent. Fourth, addressing our concerns over some of the pledges made by HAL around compensation costs and surface access. It’s important HAL and the regulators understand the airlines and our customers are not signing a blank cheque for these. The government must also recognise its responsibilities. In particular, it must work to strike a fair balance between the needs of local communities and an effective, affordable new runway. This week, the government unveiled a national policy statement, which outlined a new cap on flights at an expanded Heathrow of 740,000. It also set out a framework for a ban on flights for a 6.5hr period at night. The long-haul connections to Asia that are so vital to Britain’s economic future require slots to be available in the early morning. Therefore we support an approach to night flights which balances their important connectivity role, with a continued reduction in environmental impacts. The economic benefits that will follow the third runway stack up only if the costs are appropriate. We are encouraged by the early signs of the government and the CAA to ensure that charges are kept low. We welcome the engagement with HAL to open the books and work with the airline community to find an acceptable way forward. Britain and the world are entering a new and uncertain political and economic cycle. Investment in infrastructure is a sure sign that the UK is looking to future-proof itself as a competitive economy and an attractive business and tourism location. The airline industry is committed to helping to generate stronger air transport links for Britain. The right airport infrastructure – at the right price – will keep the UK as a world-leading hub for decades to come. Rafael Schvartzman was giving a keynote speech this week to BARUK (the Board of Airline Representatives in the UK). In answer to Andrew Sharps' pertinent comment, it highlights hub airport role that LHR provides, for pax and cargo, that alternatives do not. If charges are so high at Heathrow, isn't it curious that so many airlines want to fly there?